Mentor is a leading American global medical device company involved in the manufacture of a number of products that have applications ranging from the treatment of stress incontinence in women, to erectile dysfuntion in men and facial aesthetic dermal filler and botulinum toxin products. Contoured or ‘tear drop’ implants and round implants are available in a variety of shapes according to two differing parameters, known as implant height and implant profile or projection. The height refers to the size and shape of the implant footprint, i.e. the section that sits against the chest itself once implanted. This choice will vary according to how wide or narrow your chest is. The profile or projection refers to how far outwards the ‘drop’ on the tear comes away from the chest, as a natural breast would or how far forward the round implant projects. The actual cup size or volume can then be decided on once the anatomical shape has been established. Mentor’s saline-filled breast implants are filled with a saltwater solution similar to the fluid that makes up most of the human body. Each breast implant has a self-sealing valve used to fill the device during surgery. Their most popular saline-filled breast implant style for over 30 years. A full, rounded look that adds greater dimension to the breast. A full, rounded look that adds greater dimension to the breast. Moderate base, with a higher profile than the Style 1600 implant. 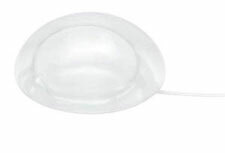 This breast implant style has become extremely popular because it provides greater projection for a more prominent profile in a narrower chest wall. 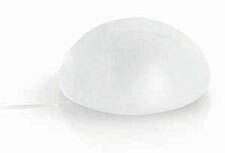 A full, rounded look with a textured surface on the breast implant shell. Provides the elliptical shape of a natural breast with moderate projection. This breast implant is wider at the base to accommodate women with wider chest walls. Parallels the shape of a natural breast but with a high profile, for greater projection and a more prominent silhouette. Spectrum™ saline breast implants offer the unique feature of being post-operatively adjustable. This means that your surgeon can reduce or enlarge the implants during a simple office procedure for up to six months after surgery — giving you some control over the final size. Combines the popular rounded style breast implant with an added ability to make adjustments to the breast size after surgery. The implant shell is a smooth surface. The popular rounded style breast implant with the ability to make adjustments to the breast size after surgery. In this style the implant shell is a textured surface. The advantages of Spectrum® postoperative adjustability, with a teardrop shape that more closely parallels the outline of a mature breast. This breast implant style features a textured shell surface. Mentor has developed their unique Spectra® range to address the problem of moderate asymmetry. Their round implant is designed on the principle of a bag-within-a-bag, whereby an outer textured silicone casing holds an adjustable inner chamber which is filled with a saline solution via a self-sealing valve system and tubing. This enables the surgeon to alter the volume of each implant individually during the operation until the desired level of symmetry is obtained, at which point the tubing is removed. This system differs from a traditional single shell saline implant as the outer silicone casing comes in a variety of densities with a differing size inner vessel for saline inclusion. This gives the implants more of the natural breast mimicking qualities of cohesive silicone gel implants but with the added adjustability created by the addition of saline within to correct any asymmetries. All of Mentor’s silicone gel implants are made from an outer silicone shell and an inner cohesive silicone gel filling (know as their proprietary MemoryGel™), which means that the gel filler acts as a solid, rather than a liquid, and cannot leak, whilst still retaining a natural feel that is said to better resemble actual breast tissue. Mentor produces a wide selection of consistencies to its MemoryGel™ from soft (Cohesive I™) to firm (Cohesive III™). This advancement in silicone technology has yet further increased the safety rating of silicone implants, compared to earlier more liquid developments. In America, such cohesive silicone gel implants have been nicknamed ‘gummy bear’ implants due to the comparison of the consistency of the implant, if you were to cut one in half, with that of the children’s jelly sweets. Provides the narrowest base and highest projection with Mentor’s Memory Gel™ cohesive silicone gel (available in Cohesive I). Provides a narrow base and high projection with Mentor’s Memory Gel™ cohesive silicone gel (available in Cohesive I). Provides a moderate base and high profile with Mentor’s Memory Gel™ cohesive silicone gel (available in Cohesive I). Provides the widest base and low profile with Mentor’s Memory Gel™ cohesive silicone gel (available in Cohesive I). Provides the narrowest base and highest projection with Mentor’s Memory Gel™ cohesive silicone gel (available in Cohesive I) and Siltex® textured surface. Provides a narrow base and high projection with Mentor’s Memory Gel™ cohesive silicone gel (available in Cohesive I & II) and Siltex® textured surface. Provides a moderate base and high profile with Mentor’s Memory Gel™ cohesive silicone gel (available in Cohesive I & II) and Siltex® textured surface. Provides the widest base and low profile with Mentor’s Memory Gel™ cohesive silicone gel (available in Cohesive I & II) and Siltex® textured surface. This range of contoured silicone implants offers three different heights to match every body type: low, medium and tall and three different projections: moderate, moderate plus and high. All include Mentor’s Memory Gel™ cohesive silicone gel at Cohesive III and Siltex® textured surface. Examples from the range are shown below. Excellent choice for most augmentations. For augmentation when more projection is desired. Highest projection available. Ideal for reconstruction. Oval footprint in height for narrow-chested patients. Oval footprint in width for wide-chested patients. Your surgeon will be able to discuss with you the best type, style and size of implant for your body shape and the augmentation that you would like to achieve. Click for ALL Mentor Implants clinics in the UK & Ireland registered and verified by Consulting Room.